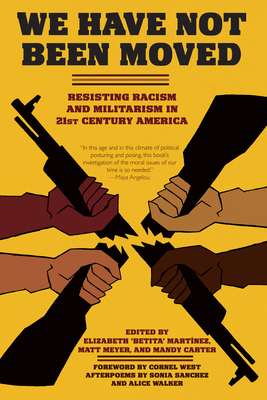 A compendium of writings that detail the grassroots actions of social and political activists from the civil rights era of the early 1960s to the present day, this book reviews the major points of intersection between white supremacy and the war machine through historic and contemporary articles from a diverse range of scholars and activists. Among the historic texts included are rarely seen writings by antiracist icons such as Anne Braden, Barbara Deming, and Audre Lorde as well as a dialogue between Dr. King, revolutionary nationalist Robert F. Williams, Dave Dellinger, and Dorothy Day. Never-before-published pieces appear from civil rights and gay rights organizer Bayard Rustin and from celebrated U.S. pacifist supporter of Puerto Rican sovereignty Ruth Reynolds. Additional articles, essays, interviews, and poems from numerous contributors examine the strategic and tactical possibilities of radical transformation for lasting social change through revolutionary nonviolence. Elizabeth Betita Martinez is a Chicana feminist and a longtime community organizer, activist, and educator. She is the author of 500 Years of Chicana Women's History, 500 Years of Chicano History in Pictures, and De Colores Means All of Us: Latina Views for a Multi-Colored Century. She is the cofounder and director of the Institute for MultiRacial Justice. She lives in San Francisco. Matt Meyer is an educator-activist, the founding cochair of the Peace and Justice Studies Association, and the former chair of the Consortium on Peace Research, Education and Development (COPRED) and War Resisters League. He is the author of Time Is Tight: Transformative Education in Eritrea, South Africa, and the USA, coauthor of Guns and Gandhi in Africa: Pan-African Insights on Nonviolence, Armed Struggle and Liberation, and editor of Let Freedom Ring: A Collection of Documents from the Movements to Free U.S. Political Prisoners. He lives in Brooklyn. Mandy Carter is a longtime human rights and nonviolent activist who has worked with the War Resisters League, the Human Rights Campaign in Washington, DC, the National Black Gay and Lesbian Leadership Forum, and Southerners on New Ground. She lives in Durham, North Carolina. Alice Walker is a poet, short story writer, novelist, essayist, anthologist, teacher, editor, publisher, womanist and activist. Her 1982 book, The Color Purple, earned her the Pulitzer Prize for Fiction (the first African American woman writer to receive this award) and the National Book Award. Walker's awards and fellowships include a Guggenheim Fellowship, a residency at Yaddo, and the 2010 Lennon/Ono Grant for Peace. Sonia Sanchez is a poet and the author of Homegirls and Handgrenades.